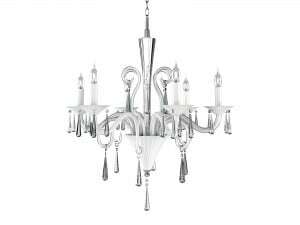 Thank you for submitting your question about Exclusive twelve-point Rosano Chandelier white E14 40W. 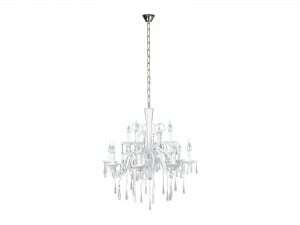 White ceiling lighting, which he will add in the apartment in which he will hang - the spirit and design. This lamp is an ideal proposition for people who value order and order - frames designed in the modernist style are made of simple materials. 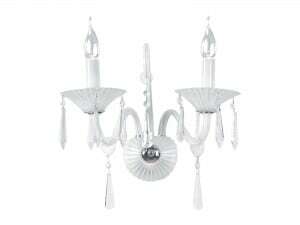 Exclusive Twelve-point Rosano White chandelier attractively installed in the dining room, living room and hallway. 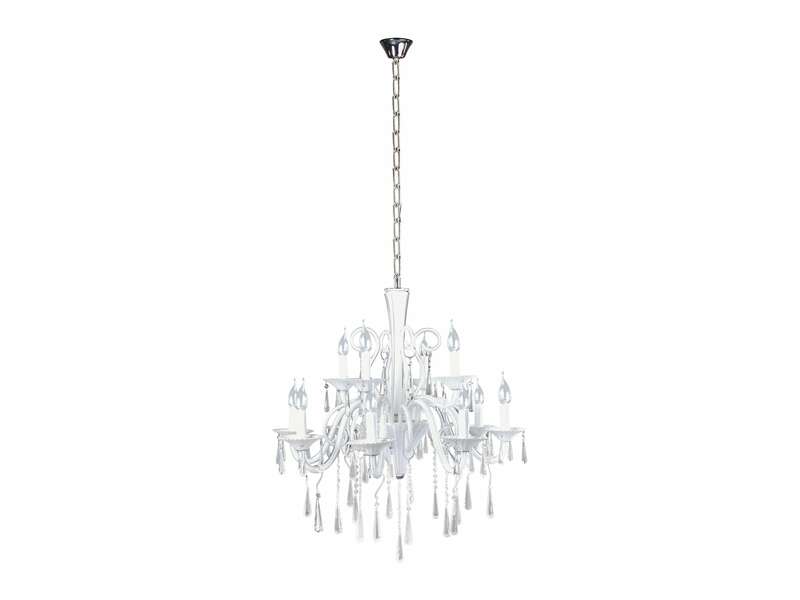 The lamp is designed to work with 12 bulbs with E14 socket and a maximum power of 40 W, which allows for sufficient lighting even larger rooms. 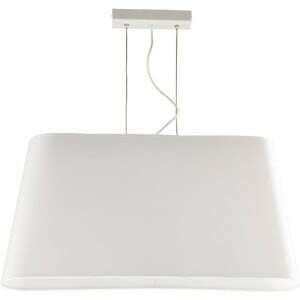 The lamp height: 950 mm. 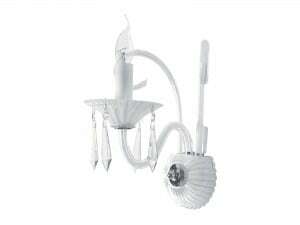 The lamp is made of crystal and metal.